NYDJ's Ariel capris in white with diamond eyelet detail at the hem. 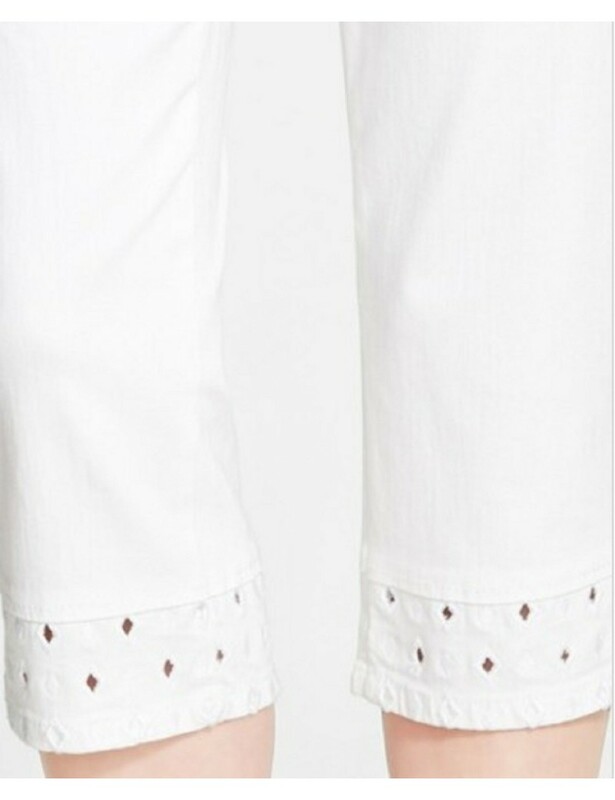 features classic, five-pocket styling, zip-fly and button closure. 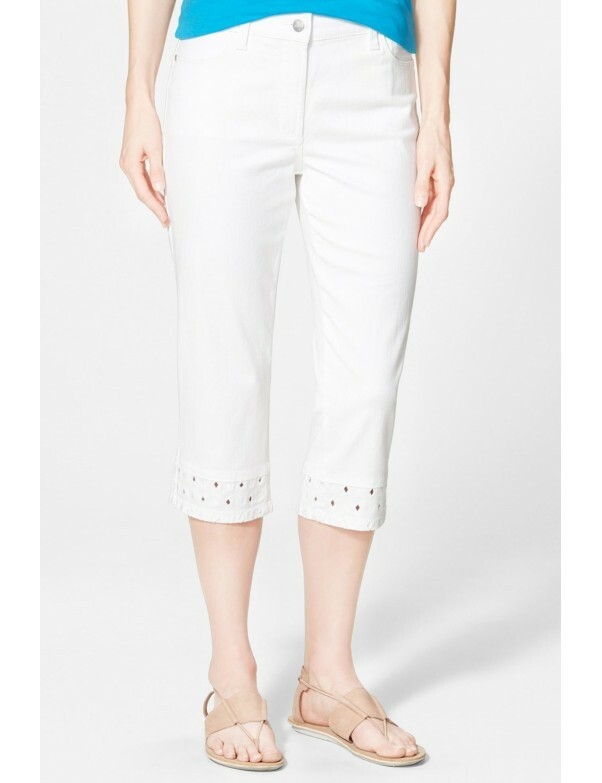 Leg Opening - Approx 16"
NYDJ's Ariel capris in white with diamond eyelet detail at the hem, features classic, five-pocket styling, zip-fly and button closure.